What drives a wirehouse advisor to make the leap to independence? And what happens once they get to the other side? Hear it first hand in this one-on-one interview with breakaway broker Matt Celenza. Many advisors come to us seeking a clearer picture of what the journey to independence is “really” like. That is, beyond the hype and the headlines—focusing instead on the mindset, motivation and processes an advisor goes through before, during and after they make the leap. 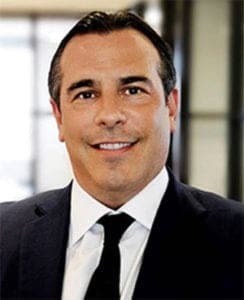 So Mindy reached out to Matt Celenza from Boulevard Family Wealth, a multi-family office managing approximately a billion dollars for ultra-high net worth clients, which he founded in July of 2017. How did your clients – especially sophisticated UHNW – react to your decision? Were they concerned about you leaving the big brand name behind? Why did you go the RIA route as opposed to becoming an independent broker dealer? What are some things you are able to do – or anticipate doing – that you couldn’t do as an employee of a brokerage firm? This is a rare opportunity to sit in on a “real” conversation that offers valuable information for advisors who, like Matt, desire greater freedom and flexibility in servicing clients, growing a business and ultimately maximizing its enterprise value. Photo credit: Matthew Celenza, Boulevard Family Wealth.